There is nothing better to learn how to sail than by actually sailing indeed, but as the wintertime draws an end to the active sailing season, it definitely is not a wrong move to read about techniques, hints and tricks on improving one´s own sailing skills. Here´s a compact, easy-to-read and rich pictured book that may help you improving your skills too. This book, available as softcover only, features only 160 pages. But dense packed pages they are with a load of information for sure. Duncan Wells is a true yacht sailor, an active RYA instructor and skipper in his 60ies. His knowledge and experience comprise a load full of thousands of miles under canvas in various conditions. What I particularly liked: He is no racer. He is “just” an “ordinary” sailor trying to improve constantly. Why reading this book? That´s a question he poses on one of the very first pages of this book. Simply because most yachts are indeed run single- or double-handed. Couples going around. You ain´t be no racer or extreme sailor in order to having to be skilled in single-hand sailing practices, you will automatically develop them when underway with your wife. That´s the premise of this book and this is what I really loved: It´s meant for the ordinary skipper, like me too. This book, although relatively thin, comprises no less than 11 chapters. Beginning with basic knowledge of ropes, knots and all that stuff you need to know prior casting off. Then it´s various techniques for getting underway from berths – again, in various conditions (wind, tide) and types of berthing as well. The same goes for getting into the berths. A short excurse into actual sailing like reefing and sail trim followed by a short dash into weather-related tricks. Duncan puts an emphasis on how to be able to competent running of a boat in heavy weather conditions, tells some points about sailing strategy and has hints for the skilled navigator. The book ends with some MOB-strategies, of which we all should practice continuously (read about my first MOB-experience and a MOB-training here). You see, the book is not too long-winded: Short sentences, a load full of pictures and descriptions for immediate reproduction by oneself. What I like about this book. What I really loved? It´s a convenient book. Not a thick story but more of a manual. “How to …”. You can easily take this book with you onto your own ship and try those hints. A particular thing also convinced me of the thoroughness of this writing: The tricks and hints have been tested and performed with no less than 6 different yachts. Different types (full keel, fin keel etc.) and ages of the yacht in order to prove the general validity of the shown techniques. Chapeau! 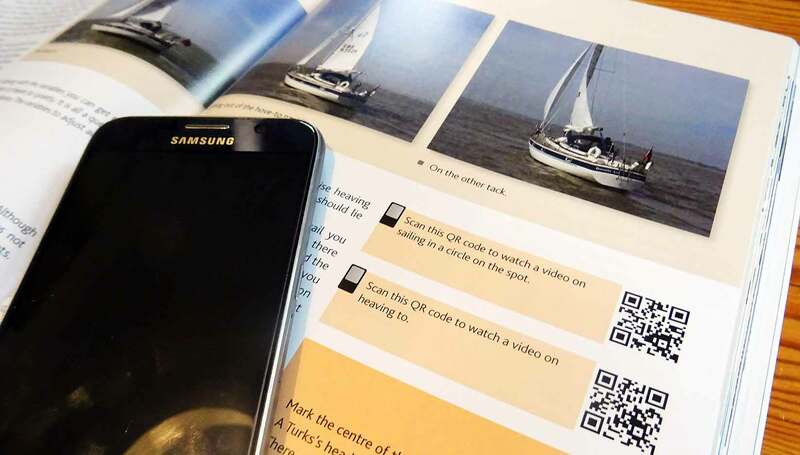 There are also a number of QR-Codes to be scanned by your mobile phone or tablet which will direct you to short movies depicting the manoeuvers in detail. Again, a nice move. Because by this, the book turns into a multimedia experience, far more detailed than the somewhat thin 160 pages. I have seen a lot of different strategies in that boot – now I´ll have to go out and practice for my own. Donald Crowhurst´s strange Voyage – a must read! 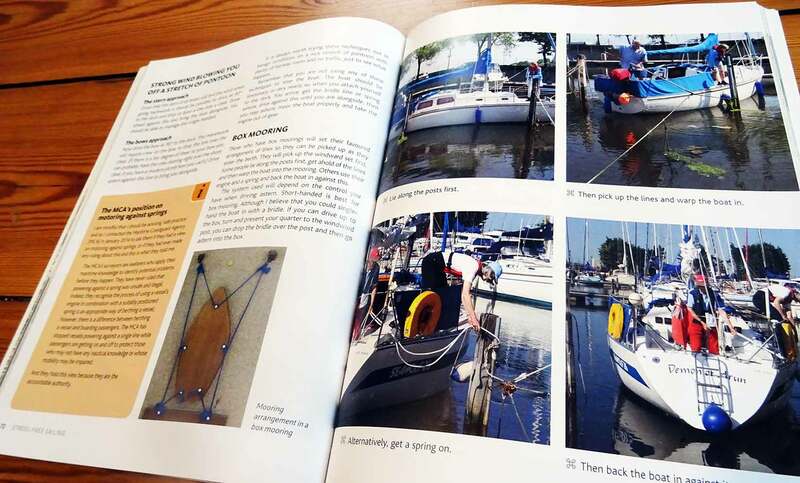 “The Principles of Yacht Design” as the ultimate book for boat aficionados. 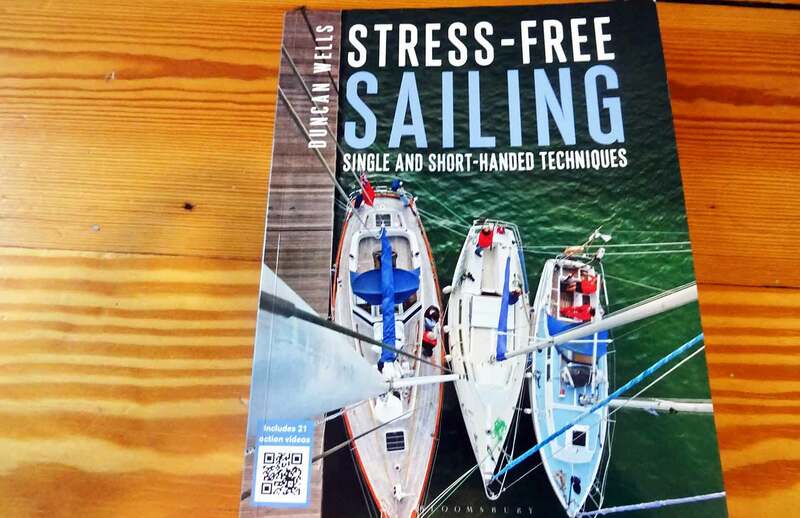 A very good sailing book – well explained and easy to read. Good choice for every SY book shelf. Hi Felix, thanks for your comment. Previous Post	Happy New Year, Sailors!